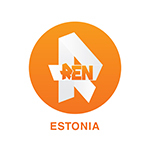 The Baltic version of the TV channel REN-TV launched in September 2005. The channel is oriented on the audience aged between 15-49 who are people with an average income or higher and who lead an active life and have a positively motivated comprehension. REN TV Baltic simultaneously offers contents for a wide demographic and social range of spectators.